A spectacular collection of Harp pieces and includes two arrangements for each of the 52 Scottish Songs featured here. One is for beginners and one for advanced players meaning that all Harp players will be able to glean something useful from this volume. With classic songs and popular favourites such as: Annie Laurie, Auld Lang Syne, The Blue Bells Of Scotland, Loch Lomond, My Heart's In The Highlands and many more. 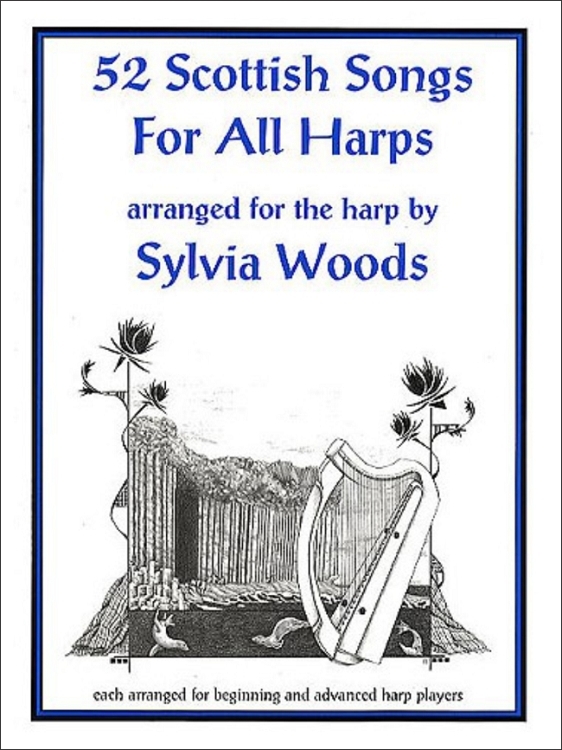 This fantastic book also features lyrics, biographical and historical notes, a glossary of terms, and an index of first lines making it the complete book for harpists.